The boos drenched John Tavares the moment he emerged from the tunnel and stepped out on the ice for warm-ups. Then a fan threw an Islanders jersey at him on the way off. When the game began, the boos from Islanders fans echoed throughout the Coliseum every time he touched the puck. 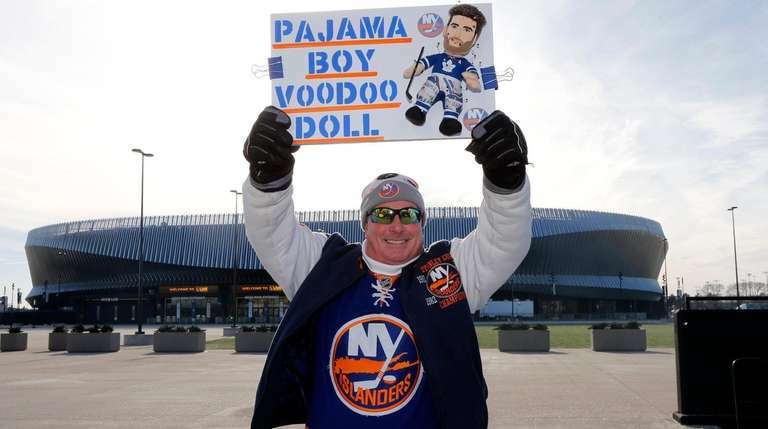 The Metropolitan Division-leading Islanders beat Toronto, 6-1, on Thursday night, keeping Tavares off the scoresheet, and the fans showed no mercy toward the former captain as he returned for the first time against his old team. He wasn’t expecting a loving, welcome-back embrace. A video tribute rolled during a stoppage about midway through the first period. The highlights appeared from Tavares’ nine years with the Islanders, clips of his on-ice work, his hospital visits, his interactions with kids. But the soundtrack was drowned out by a mix of boos and chants, including one not fit for print. The tribute closed with the words “Thank You John” on the screen. More loud boos. 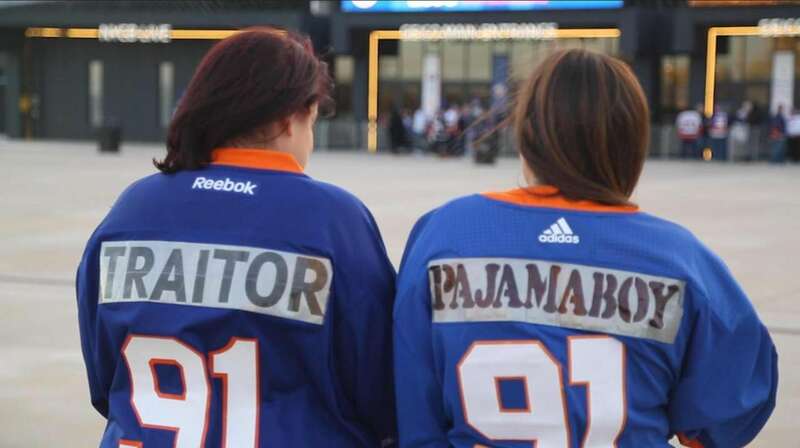 “Obviously, it would be nice to take a moment to recognize, but obviously they have their feelings,” Tavares said. While the fans didn’t appreciate the video tribute, Tavares did. This return had been anticipated since July 1, when Tavares bolted as a free agent for the team of his childhood dreams. He made the point clearly that day by posting a photo on Twitter of himself as a kid sleeping between a Maple Leafs sheet and blanket. Tavares asked the Islanders not to trade him at the deadline last February. Throughout last season, he sounded as if he hoped to re-sign. So when he decided to go play near where he grew up on a seven-year, $77 million deal, the fans felt led on and abandoned. 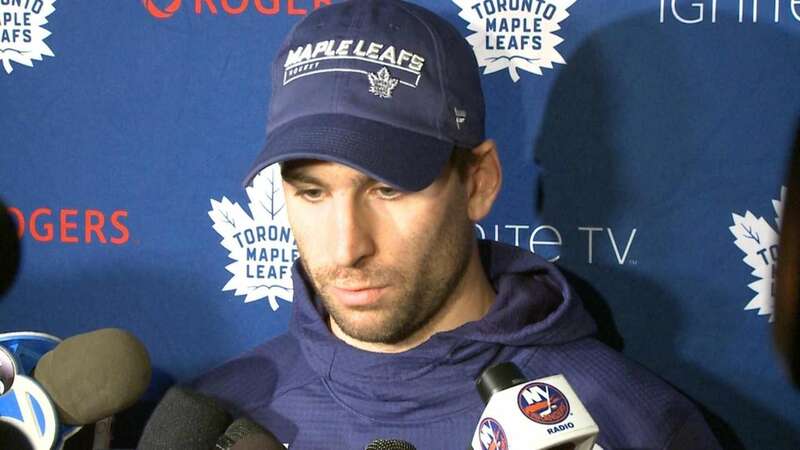 “As I’ve said, it was probably the hardest decision I’ve ever had to make in my life and obviously it took me some time to do it because of how difficult it was, and I wasn’t really sure what I really wanted to do until I obviously made the decision,” Tavares said. Tavares gave the Islanders 272 regular-season goals and 11 playoff goals, including the double-OT clincher in the first round against Florida in 2016. The 28-year-old center is having another big season, contributing 36 goals and 32 assists for Toronto, which sits third in the Atlantic Division. While Tavares has moved on, he hasn’t forgotten what it meant to him to be an Islander.